“Karibu” means “welcome” in Swahili and is heard countless times by visitors to Tanzania, where local residents are very hospitable and treat visitors with tremendous respect. Most Tanzanians live in brick huts and have few possessions, but whenever we missionaries visit they are excited to see us and always make sure we sit on their best chair or stool and in a shady spot in front of their home. Unlike in the US, where we often assume that an unexpected visitor probably has come to sell us something we do not need, the people we visit in the villages of Tanzania always are interested in what we’ve come to say and realize that it must be important considering how far we have traveled to see them. Through the work of the Holy Spirit, most of these people believe the gospel message after hearing it, and want to be baptized. While it is common to be warmly welcomed throughout Tanzania, every mission trip has a few special moments that are particularly memorable. One such moment from this year’s trip, which was my second visit to Tanzania with the Mid-South District of LCMS, happened on our last day of evangelism in villages near the town of Salawe. Our group’s first visit of the day was to a group of three families whose homes were close together. As we told the families about Jesus’ death and resurrection, I waved to a sweet little boy who looked to be about 5 years old and he immediately smiled and walked over to stand by me. After we finished telling the story, we baptized all of the children (their parents already had been baptized) and gave them hats that had been knit by members of our congregation. 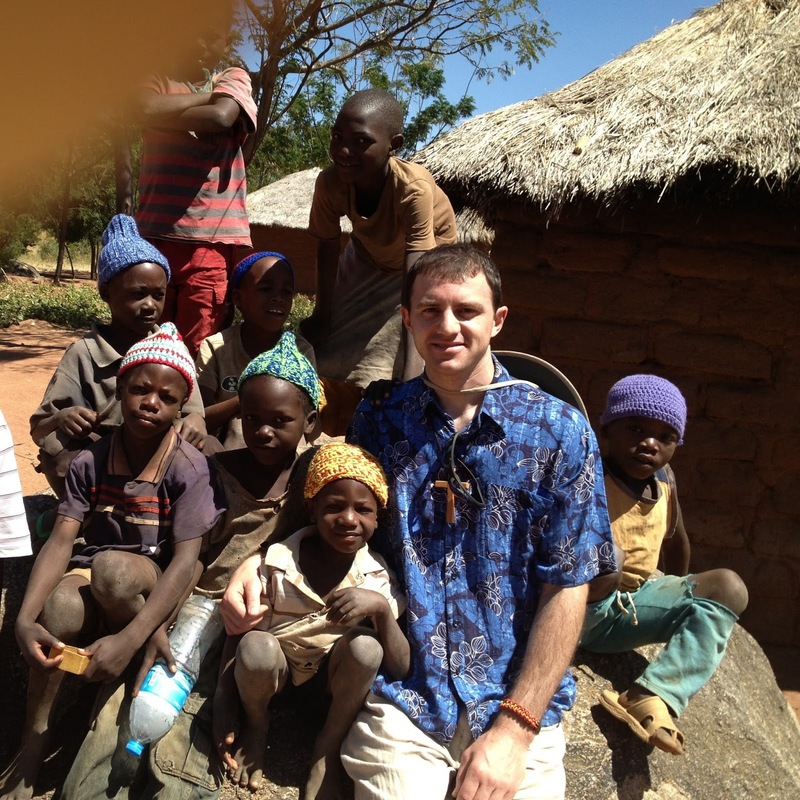 Our interpreter then took this photo of me with the children, and we went on our way. After visiting several other homes, we headed back toward our meeting place to join the other missionary groups for lunch. On our way there, we walked near the first group of homes we had visited and my little buddy (who is sitting on my right in the photo) came running out to us and gave me a big hug. I’ve never seen a little boy move so fast! I wish I could remember his name, but maybe the fact that we made such a special bond without even having a conversation illustrates how much the people of all ages in Tanzania appreciate it when someone visits their country to share God’s love with them.